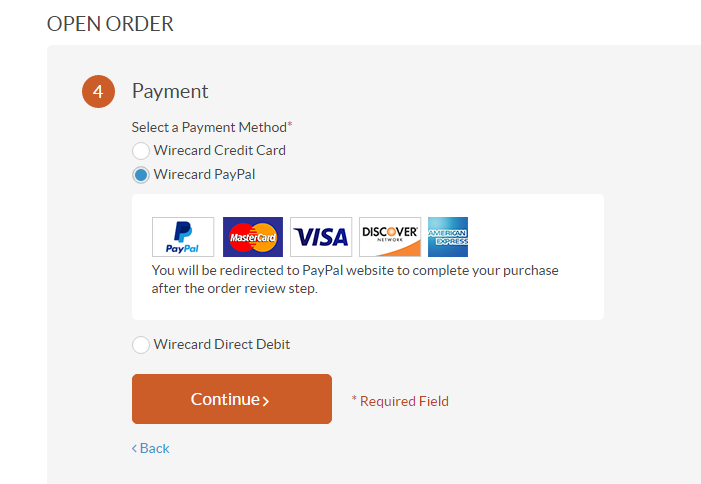 After the integration is complete, the customer user may select one of the payment methods that are shown after the connectivity check and payment rules evaluation. 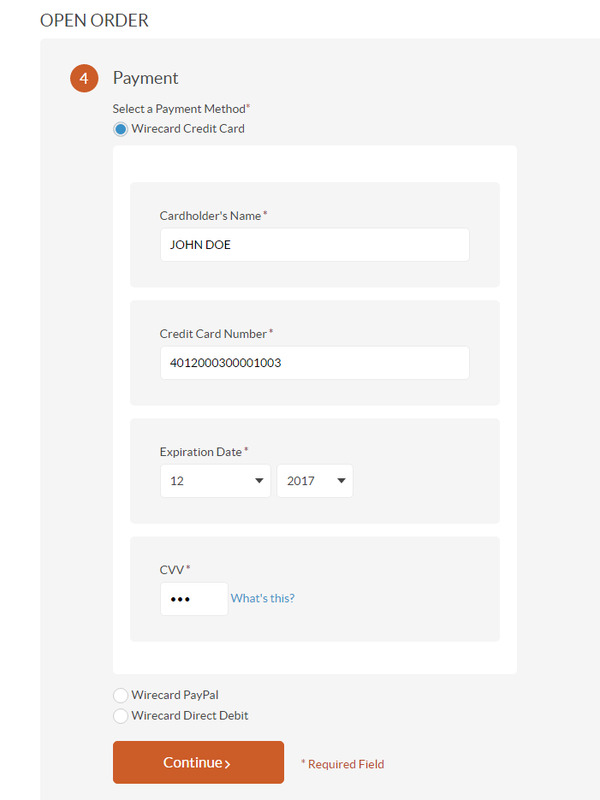 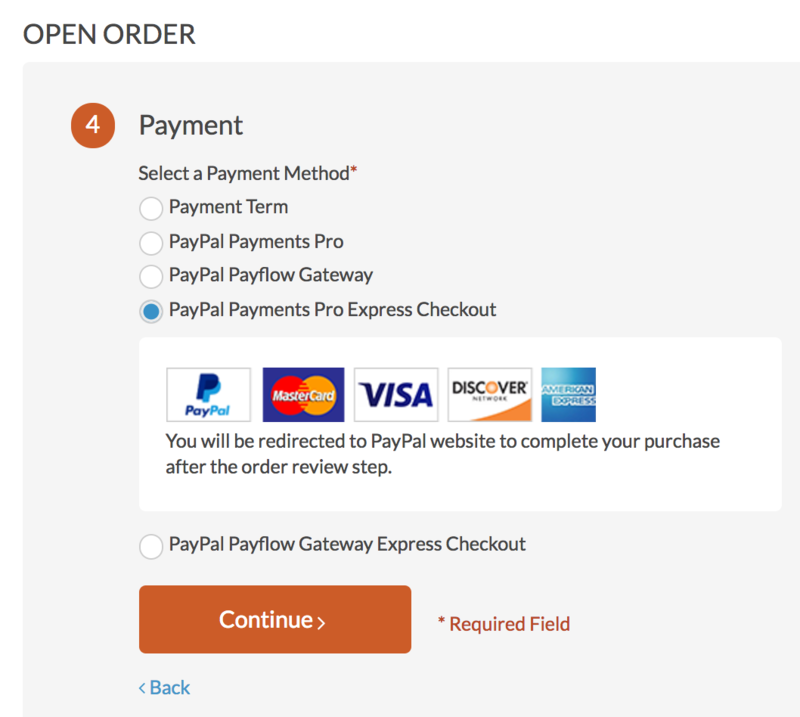 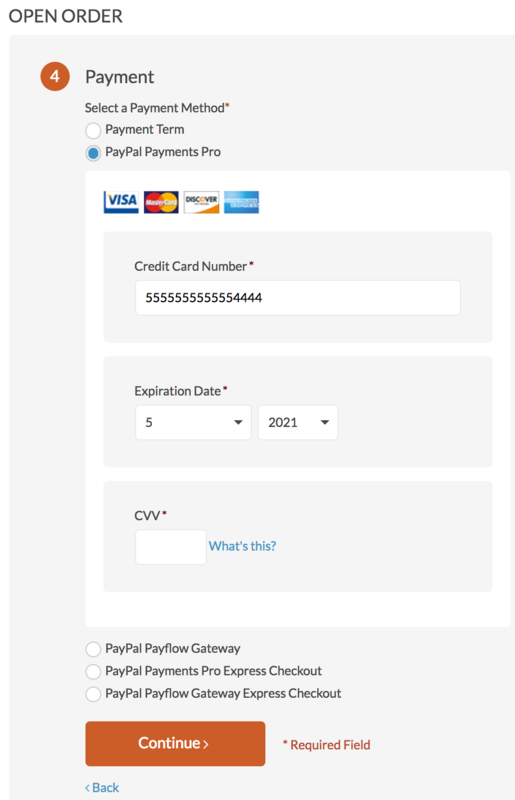 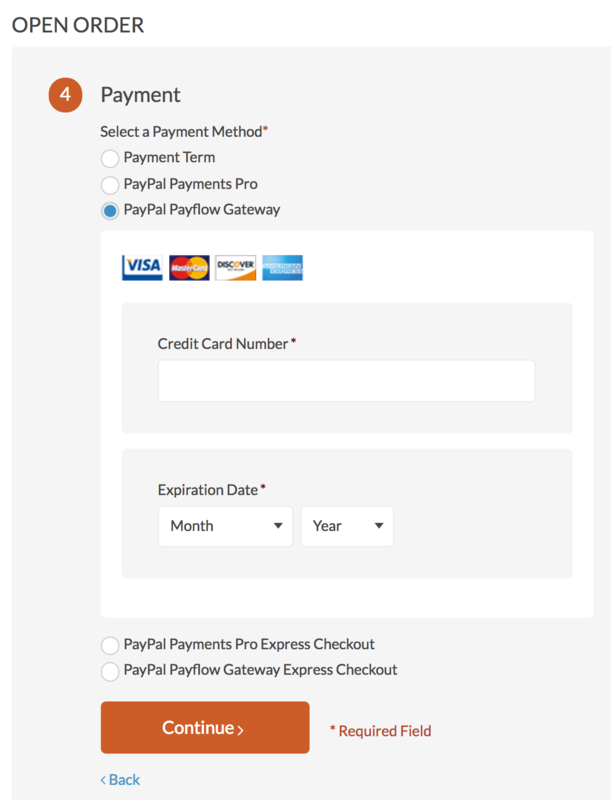 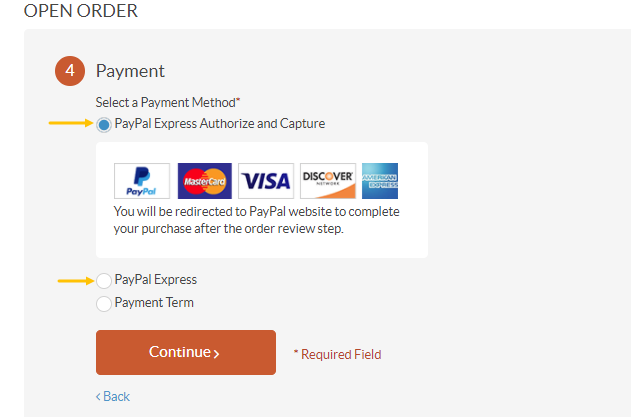 Before you can use PayPal Express in OroCommerce, install the Oro PayPal Express Integration package. 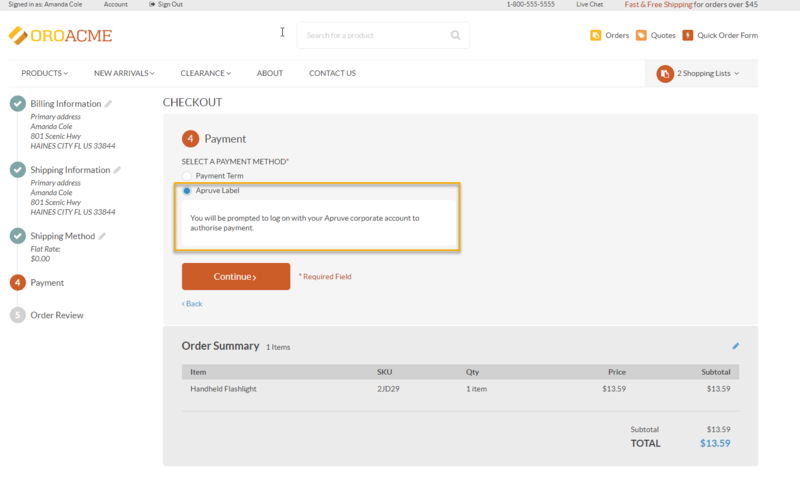 For security reason, the Authorize.Net payment option appears only when a buyer access your OroCommerce site via the https protocol. 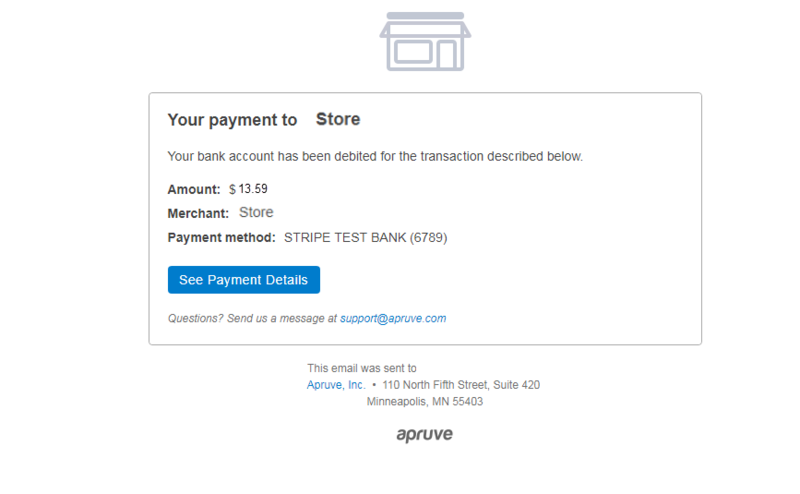 To checkout with Apruve, make sure you have registered the account in the Apruve system (see more details on how to create either Shopper or Merchant account in the Prerequisites for Apruve Services Integration topic). 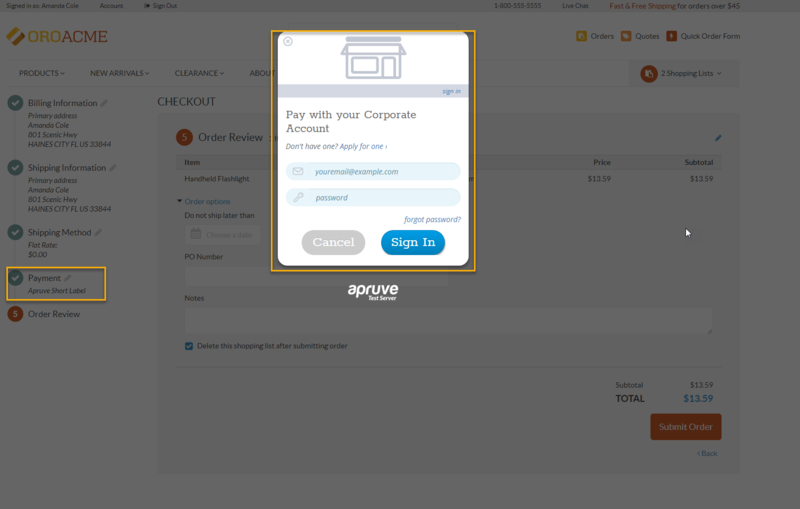 Once a customer selects the Apruve payment method for their order, they are asked to log into their Apruve corporate account to authorize this payment. 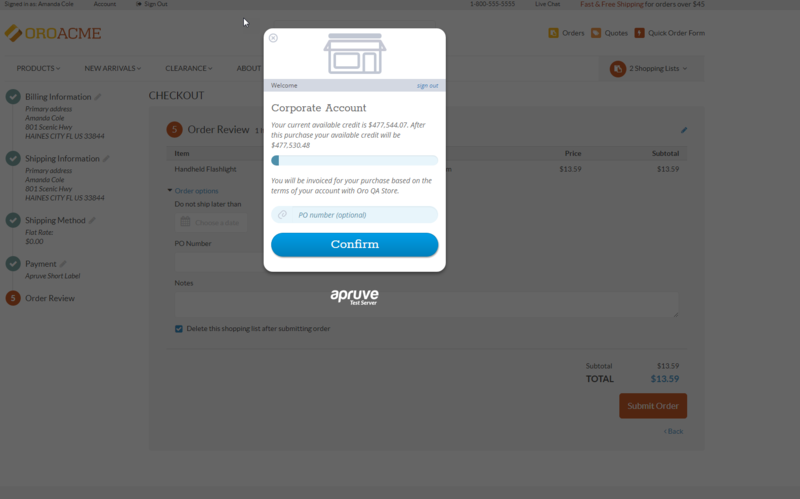 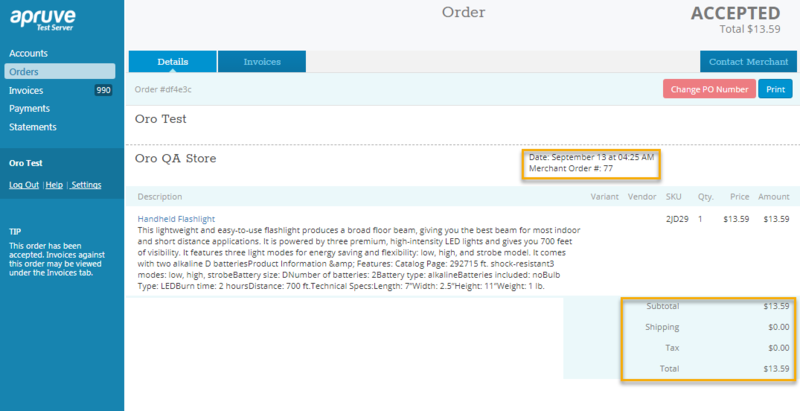 In the Apruve account, under the Shopper role, the customer can view their order details by navigating to Orders menu on the left and selecting the corresponding order. 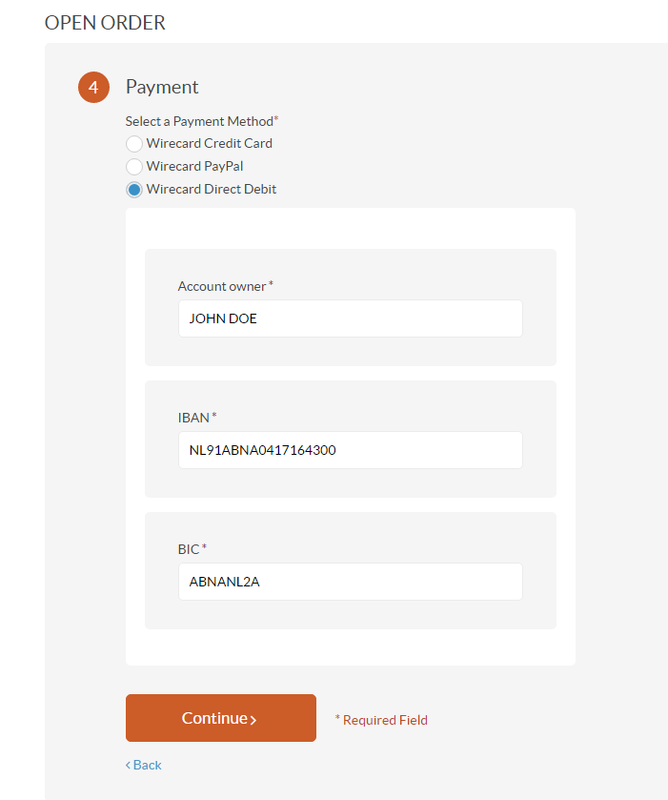 Before the customer proceeds with the payment, the sales representatives should invoice them via the management console by clicking Send Invoice and confirm to charge the customer. 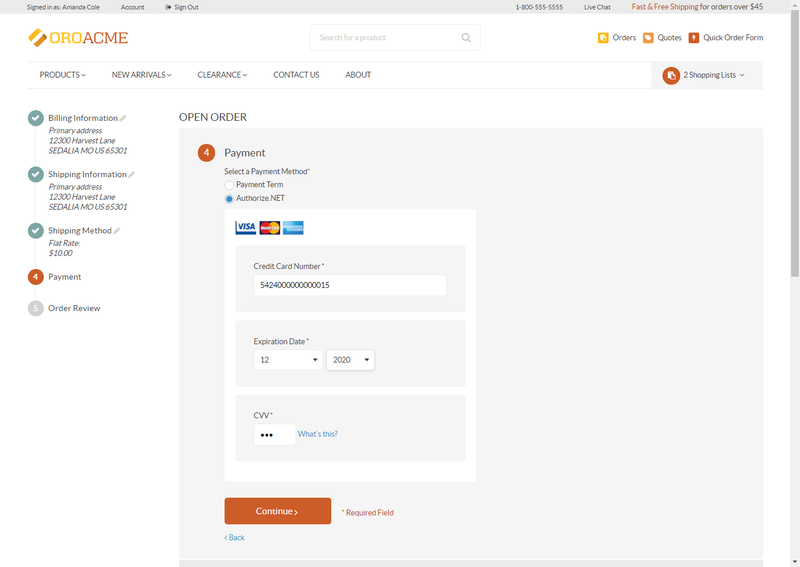 Upon receiving the invoice with the link to the Apruve system for further payment, the customer should then log into their Apruve account and pay this invoice by clicking Pay on the far right. 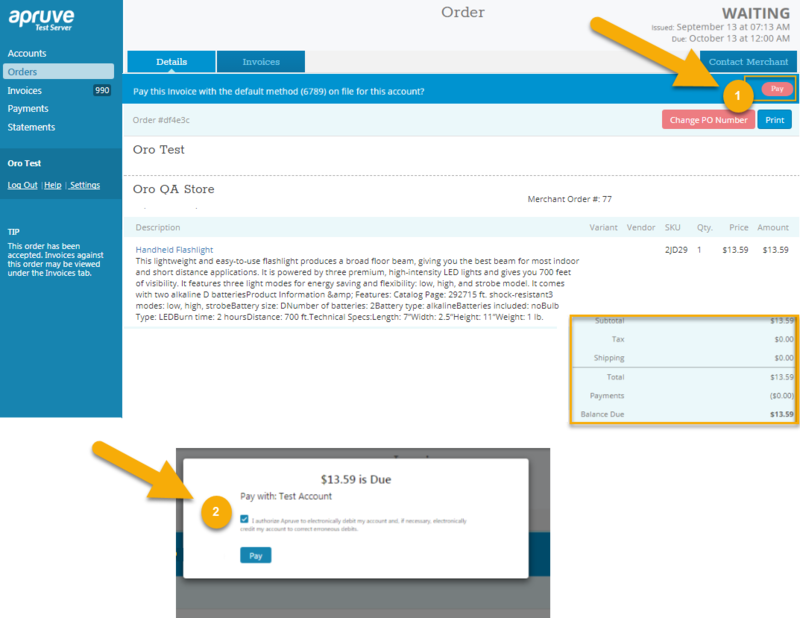 Once the payment is made, the customer receives the notification email to view the payment details. 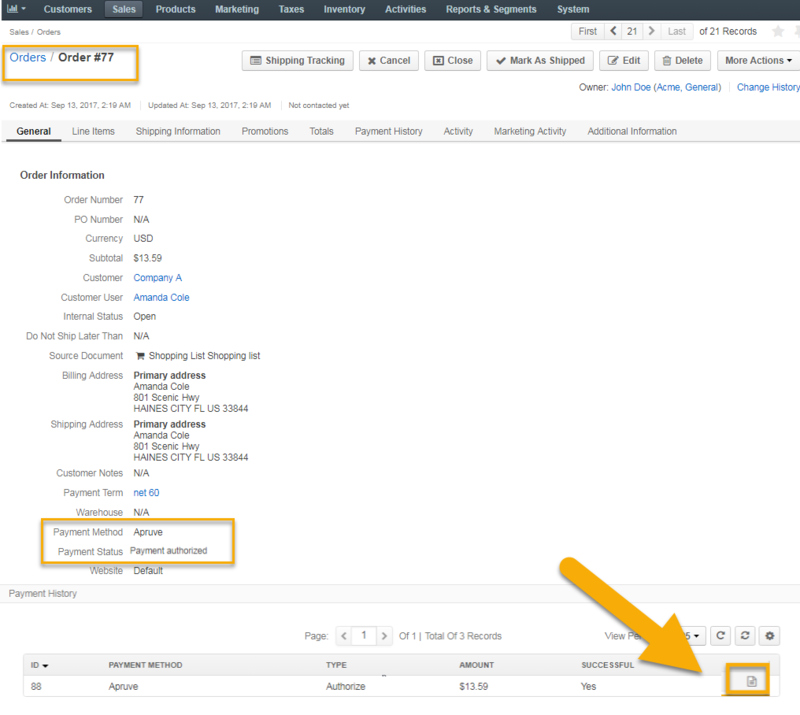 A customer is paying the invoice on the terms you set (e.g. 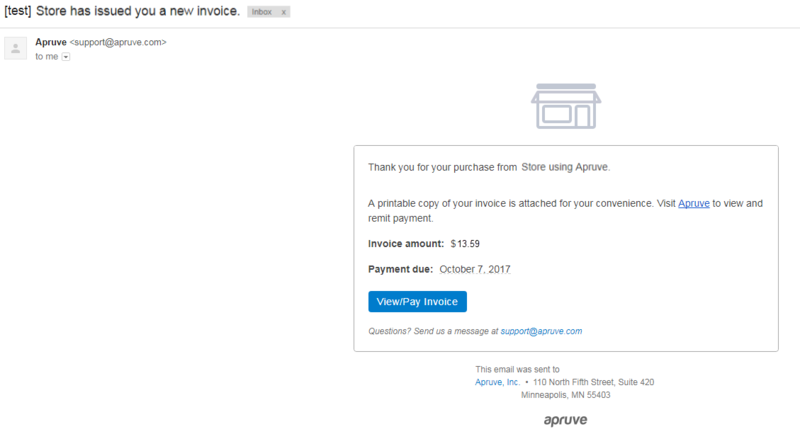 net 30, net 60), but Apruve is paying you within 24 hours for any invoice that is generated through the management console.